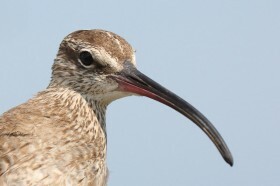 Whimbrel Photo by Bart Paxton. 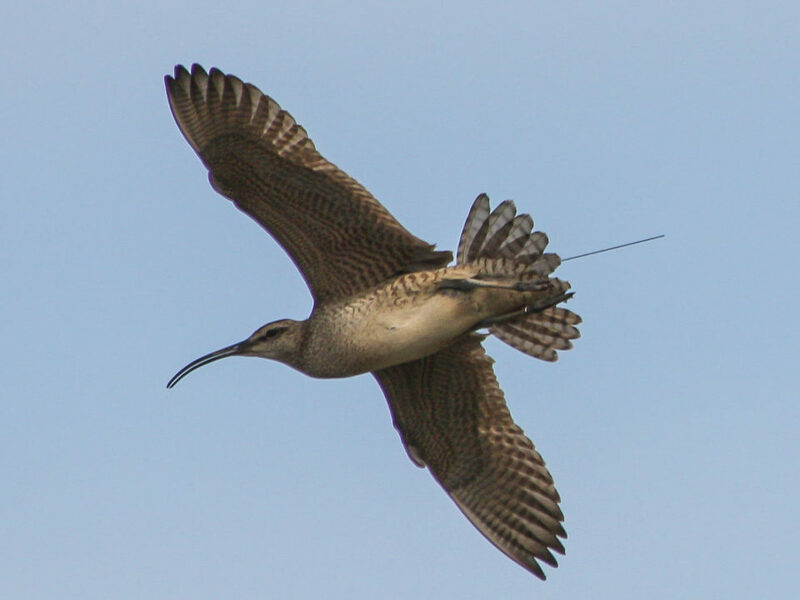 Whimbrels using the Atlantic Flyway are flocking to coastal Brazil. The area around Sao Luis including the broader Gulf of Maranhao appears to be the most significant winter destination for birds throughout the western Atlantic. 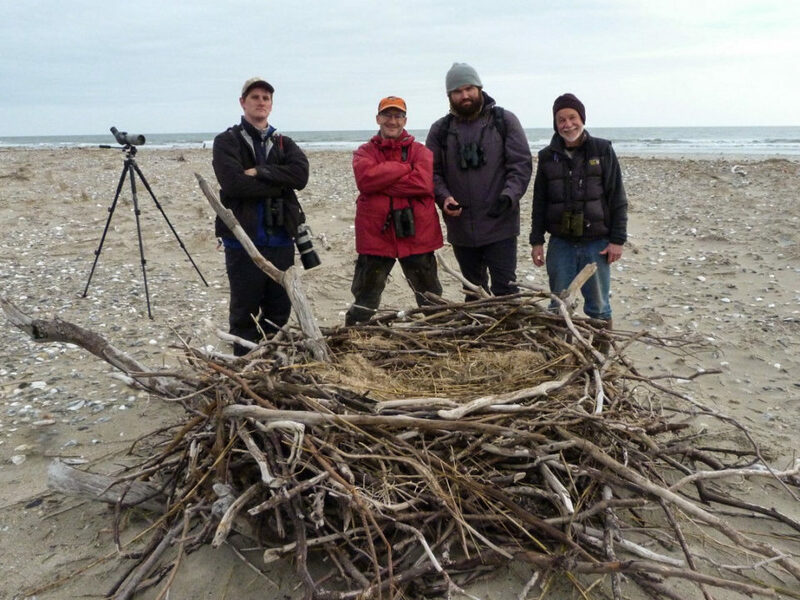 Of 14 birds tracked for an entire winter season, 11 (78%) have used this location. Identification of sites with high conservation value has been one of the primary objectives for the Center’s tracking program. 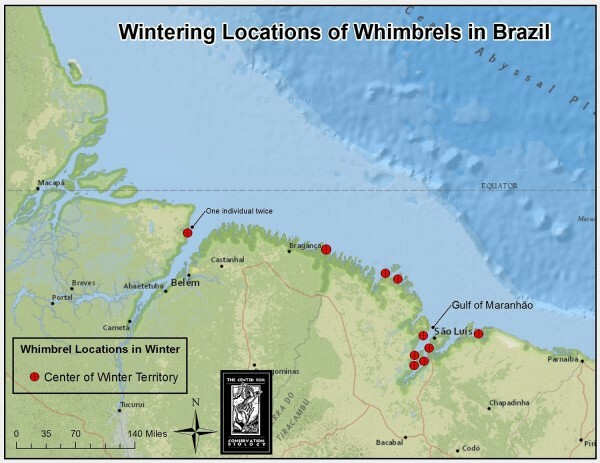 Map of territory locations for whimbrel wintering in Brazil. Map by CCB. 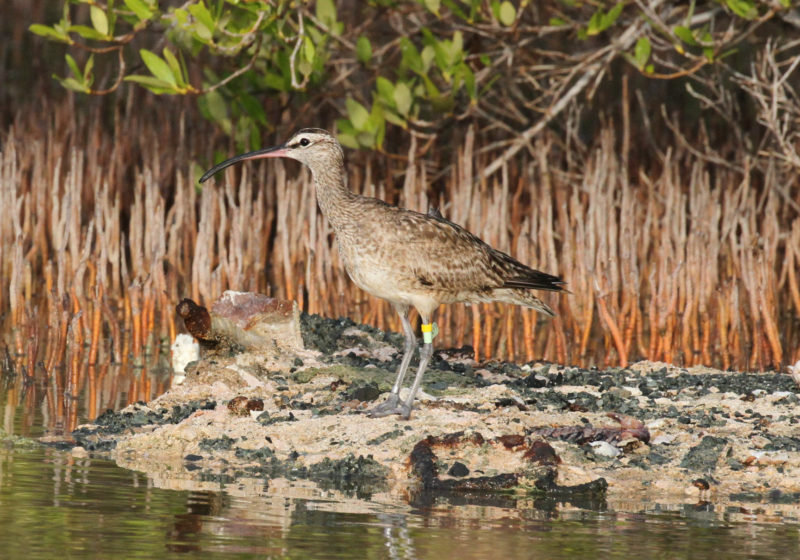 The estuary around Sao Luis appears to be a whimbrel paradise. The area has the highest tidal range of any site within the region and supports extensive sand and mud flats fringed with mangrove forest, a tropical combination that typically leads to high densities of fiddler crabs. Fiddler crabs are a winter staple for whimbrels. 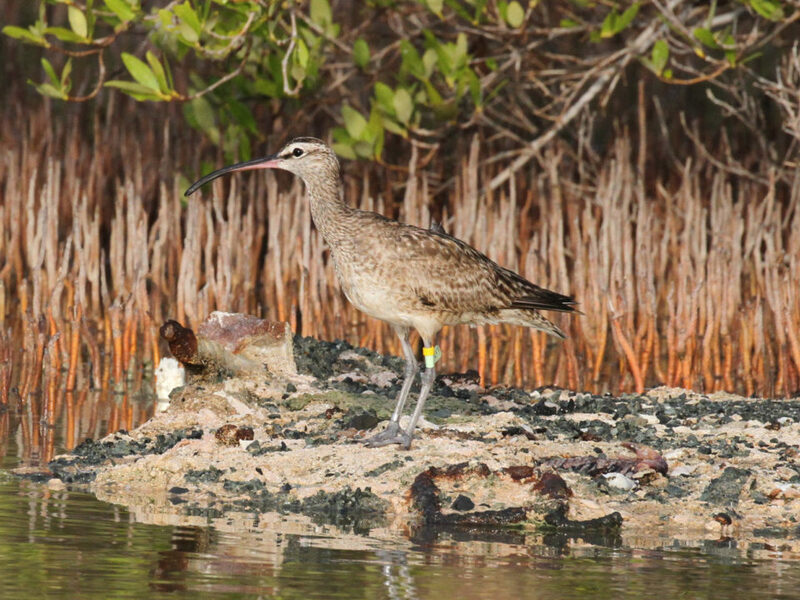 The location has also been identified as important to several other shorebird species leading to its designation as a Western Hemisphere Shorebird Reserve with hemispheric importance. 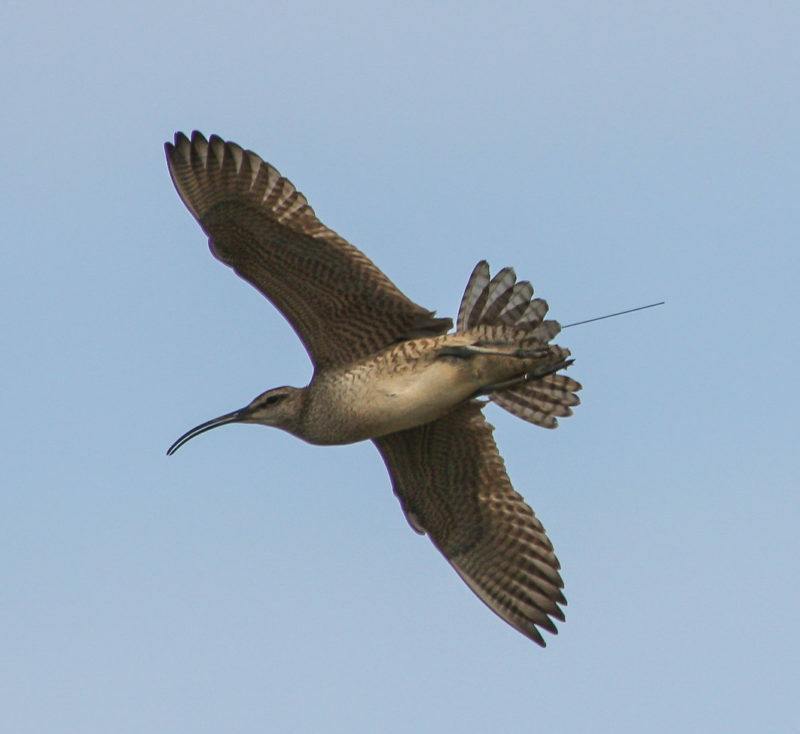 Whimbrels within the Atlantic Flyway have experienced dramatic declines in recent years leading to concerns about their future status. Research projects currently conducted by the Center are focused on identifying sites critical to the species and factors that may be contributing to recent declines. 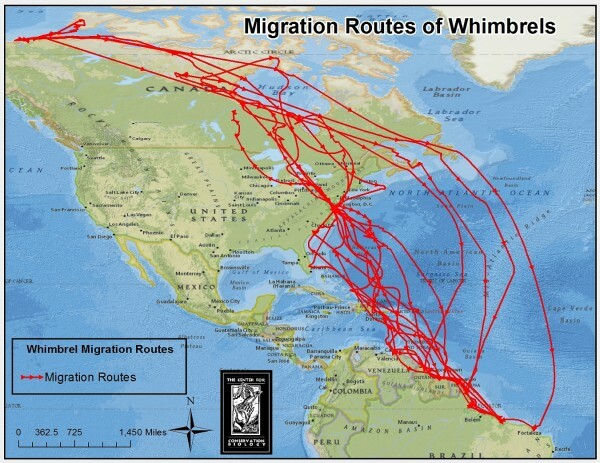 Map of whimbrel migration routes showing the convergence of birds on coastal Brazil. Map by CCB. Partners in tracking efforts include the U.S. 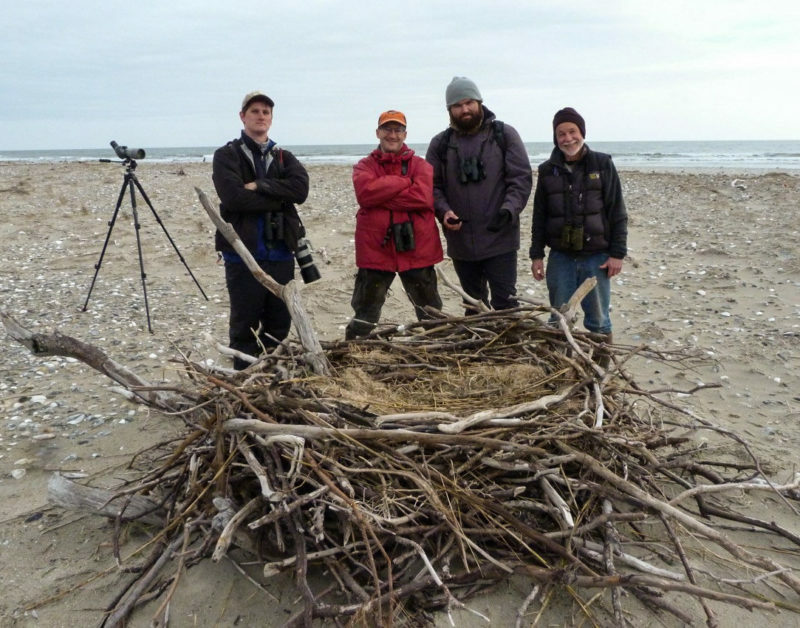 Fish and Wildlife Service, Canadian Wildlife Service, The Nature Conservancy, Georgia Department of Natural Resources, and the Virginia Coastal Zone Management Program, and Manomet Center for Conservation Sciences. 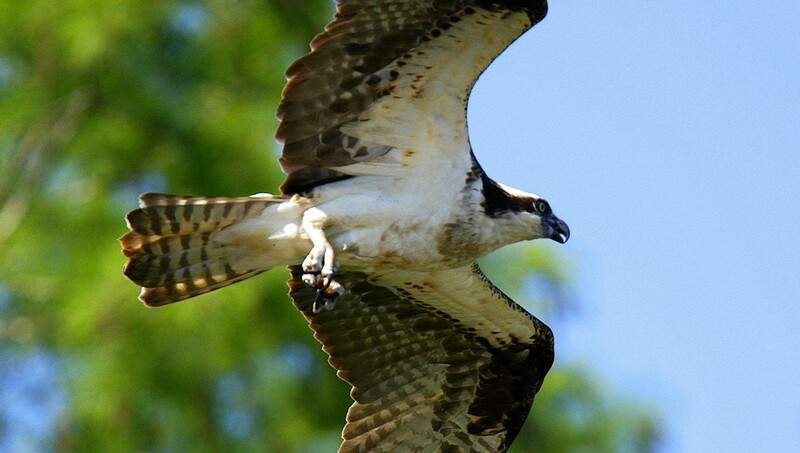 Follow the journey of these birds here http://www.wildlifetracking.org/index.shtml?project_id=369.